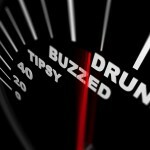 If you are charged with DUI in California, it may be important for you to know – and understand – what the charge called “wet reckless” is. The police do not charge drivers with wet reckless, and there’s nothing in California law that allows them to. Wet reckless is the exclusive monopoly of prosecutors. It’s a charge created to prompt DWI defendants to accept a plea bargain and to move cases more quickly through the court system. Prosecutors and courts will often accept a nolo contendere (no contest) plea to a wet reckless charge. Before you appear in court or accept any plea bargain in any DWI case, obtain sound legal advice first from an experienced Orange County DUI attorney. Especially if the evidence against you is considerable and a conviction likely if your DWI case goes to trial, pleading to a wet reckless charge may be your best option. 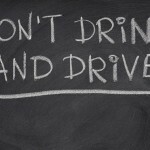 You may be able to avoid jail, and you may pay a lower fine and spend less time in DWI classes. Persons convicted of DUI are barred from some types of employment, so pleading to a wet reckless charge may be the way to save your career. What a wet reckless conviction does not do is equally important. The Department of Motor Vehicles (DMV) may still suspend your driver’s license, and your auto insurance premiums may go up. A good DWI attorney may be able to help you avoid a license suspension – you have ten days after a DUI arrest to schedule a hearing with the DMV if you are challenging their suspension of your license – but there’s obviously nothing an attorney can do about your insurance rates. And if you are prosecuted for any alcohol-related driving offense in the first ten years after a wet reckless conviction, that conviction counts as a “prior” DWI. A good DUI attorney has a number of legal tools available for defending your rights and working to have your DWI reduced to wet reckless or dismissed altogether. 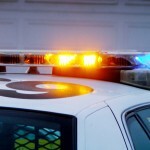 In southern California, if you’re charged with DUI now or in the future, speak about your case with an experienced Orange County DWI attorney immediately.